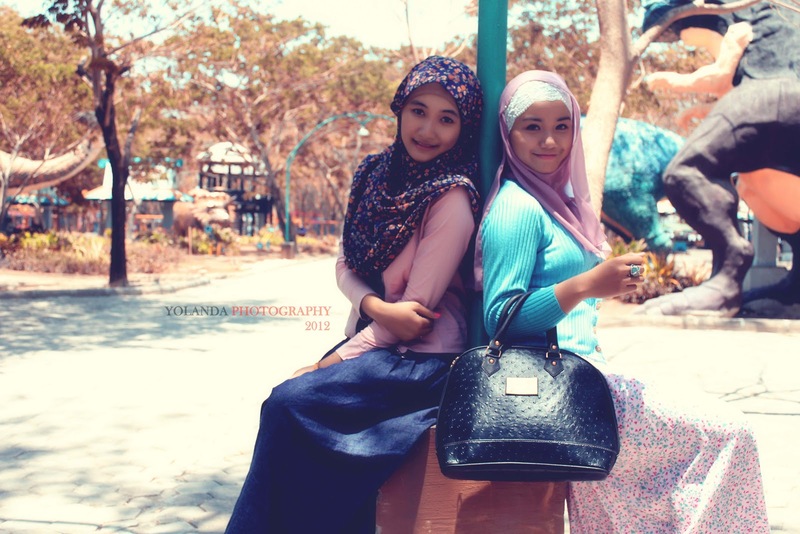 These are the pictures taken by myself at Kenjeran Park, Surabaya. Actually, Its been so long I didnt do photography. I am more into videography at the moment. 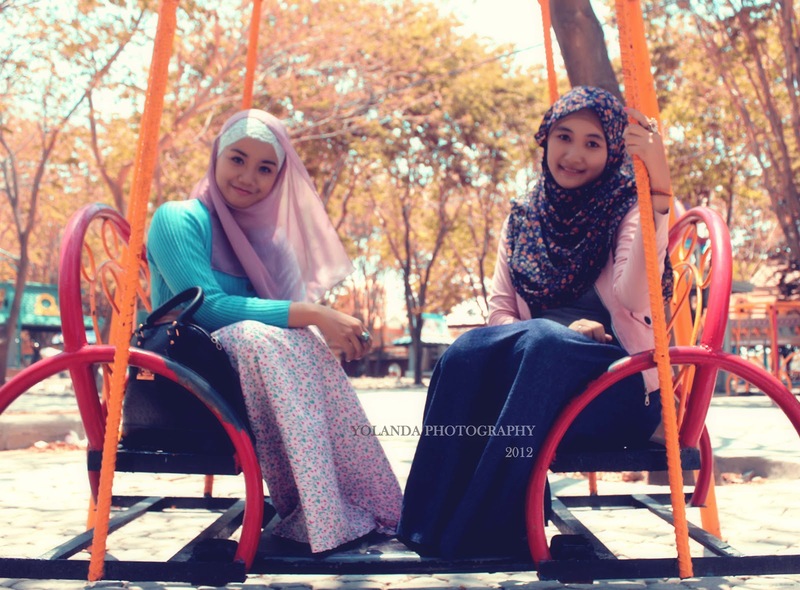 But, last week my friend, Lisa asked me to take her pictures when she was wearing hijab. When Lisa and I went to Ken Park, our friend Octa joined with us. Octa is also hijabers and she also asked me to take her pictures long time ago, but I could make it happen just last week. And yes, last week I also got the job as freelance photographer. I took some hijab photos for hijab online shop. Praise to the Lord, I could save some money from this job. I used to imagine, I am gonna do my hobby and make money from this hobby. Once again, Praise to the Lord, I could make it happen step by step. And I wish, I can do this stuff till I close my eyes. really really good photos kak! Love the background, its really match with the hijab girl's style :D I can't choose between the first or second photo for the best, I like all! wow, a freelance photographer, I wish I can too, but I still learning and learning hehe..
ih kamu mah bilangnya pengen mau hunting bareng, pas ke jakarta tapi enggak bilang2. Semoga jalan terus ya hobbynya..